Ven. Karuna and her buddies. Was born Joyce Adele Pettingill in Beloit, Wisconsin. Her parents were active American Baptists. She started college at the University of Wisconsin where she met her husband, Ben Ting Fun Lum. They moved from Madison to Los Angeles as Ben started work as an aerospace engineer at MacDonald Douglas. Their daughter Chrystine was born and she finished her degree at UCLA, receiving a B.A. in English. In 1969 they were divorced. She received two M.A.s: one in Secondary Education and the other in Comparative Religion. 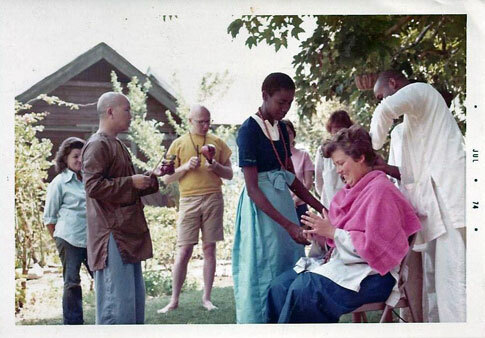 She met her teacher, Thich Thien-An, and began her studies of Buddhism in 1969. At the same time, she helped Dr. Thien-An establish the International Buddhist Meditation Center and Chua Vietnam in Los Angeles, the first Vietnamese temple in the U.S and the College of Oriental Studies. In 1973 she became a Buddhist atthangha sila. In 1975 she spent her weekends at Camp Pendleton as a Buddhist chaplain and in 1976 took full Ordination as a Bhikshuni in the Vietnamese Zen tradition with the name - Thich An-Tu. Then in 1979 she completed her D.Dh. 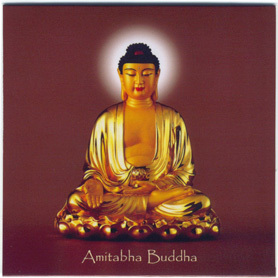 degree in Buddhist Studies from the University of Oriental Studies. 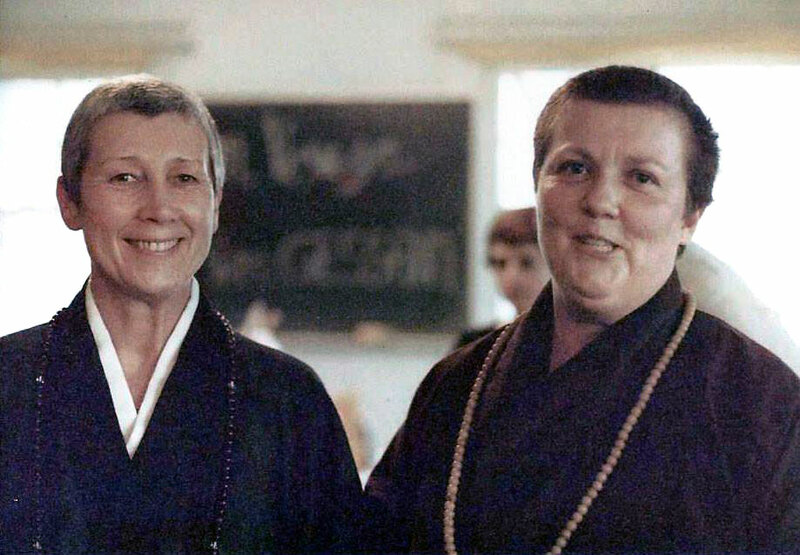 With the death of Dr. Thien-An in 1980 she became the Abbess of the International Buddhist Meditation Center and was one of its founding members. 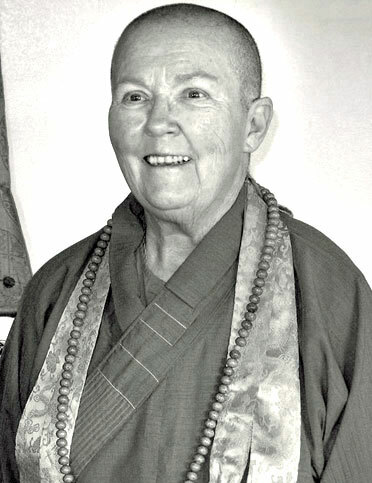 She oversaw the running of the Center, performed ceremonies, taught classes on Buddhism, was involved in Interfaith work and Inter-Buddhist work and was a member of the Interreligious Council of Southern California. She was an original founding member of the Buddhist-Catholic Dialogue in Los Angeles and represented the Buddhists in presenting gifts to His Holiness Pope John Paul II on his trip Los Angeles in 1987. She was a past president of the 'American Buddhist Congress', served as vice-president of the 'Buddhist Sangha Council' and 'College of Buddhist Studies' and was a founding president of 'Sakyadhita', the International Association of Buddhist Women. Ven. Karuna is profiled in, "Meetings with Remarkable Women: Buddhist Teachers in America," by Lenore Friedman. And contributed a chapter to a book edited by Karma Lekshe Tsomo, "Buddhism through American Women's Eyes." She edited "Zen Philosophy, Zen Practice," by Thich Thien-An and co-wrote the booklet, "An Early Journey: Buddhist-Catholic Dialogue," with Dr, Michael Kerze. Rev. Karuna coauthored Buddhist Concept of Mind with Dr. Havanpola Ratanasara, as yet unpublished and edited Buddhist Concepts by American Disciples, contributing many of her own writings. 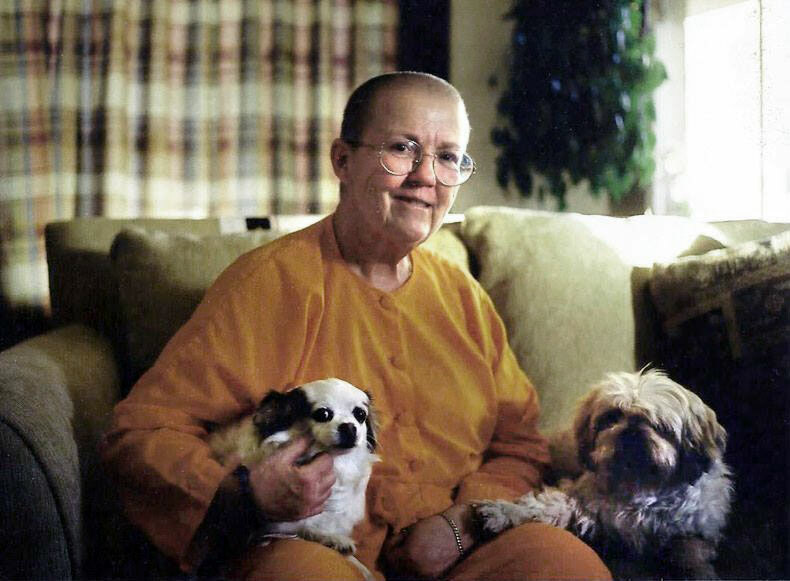 She was an active member of the Buddhist community in Los Angeles. She played an important part in the first Grand Ordination to be given completely in English with Ven. Thich Man-Giac presiding in 1981. In 1994 she and Ven. Dr. Ratanasara presided over the first Grand Ordination, with both bhiksus and bhiksunis, giving ordination on all levels, ordaining in all three traditions: Theravada, Mahayana, Vajrayana. In 1997 she gave a second Grand Ordination, sharing the role of Uppajaya with the Ven. Dr. Havanpola Ratanasara. In 2004 Ven. Karuna Dharma and the IBMC hosted the third Grand Ordination of Western Bhikkhunis and Bhikkhus. In Nov. 2012, Ven. Karuna Dharma retired after 32 years as Abbess... and moved to Northern California, to be close to family and friends. Epilogue -- Saturday February 22, 2014 at 3:30 am Ven. Karuna Dharma died with her daughter Chrys at her side. She died in peace, she was 74. May she find happiness and success in her next rebirth.